Happy Memorial Day, everyone! I hope that you enjoyed a day off from work with family and friends in this beautiful summer day. However, I hope that you also took a moment to remember the great sacrifice that so many brave men and women have made so that we might enjoy freedom in this great nation. I don’t know about you, but lately I have had a SERIOUS craving for popsicles. There is a “gourmet popsicle” craze sweeping the nation, and I am loving it. Until a couple weeks ago, I was terribly envious of people posting homemade delicious looking popsicles. Well, I have to be envious no more! I ordered a popsicle mold off of Amazon, and I love it! I have been pinning popsicle recipes like crazy on pinterest. This key lime pie is the first one I’ve tried, and it was amazing! I did struggle with getting the popsicles out of the mold. I googled it, and everyone says that you’re supposed to set the container in some hot water for a few seconds, and then they should slip right out. Well, it took more than a few seconds, and when they finally did slip out, the top halves were a bit melted. But at least for this particular recipe, the graham cracker crumbs covered up the ugly parts :-). Combine all ingredients except graham crackers in a bowl and whisk together until they are thoroughly combined. Divide amongst your popsicle molds and freeze until solid, at least 5 hours. Add your popsicle sticks at the correct time for your molds. Use a blender or food processor to crush the graham crackers into fine crumbs. When ready to serve, let the pops sit out at room temperature for a minute to let the outside just start to soften and get "tacky". 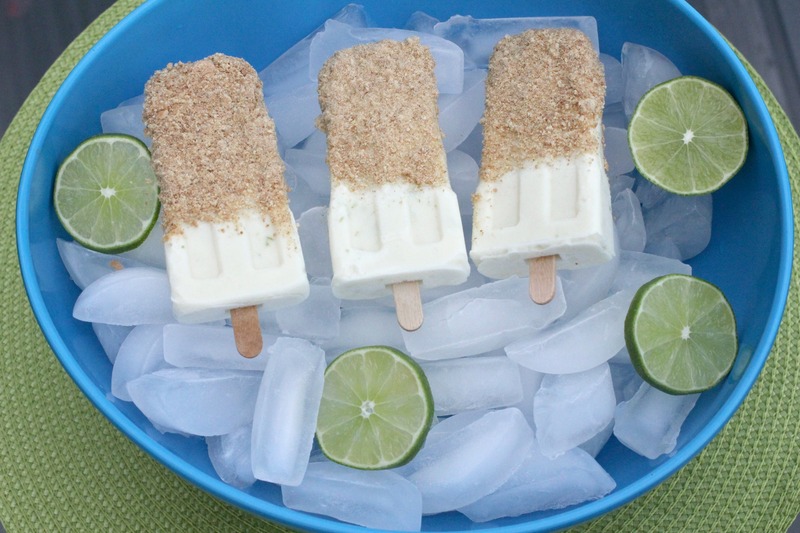 Press each side of the popsicles in the cracker crumbs and enjoy! They look so fun and delicious, great idea! 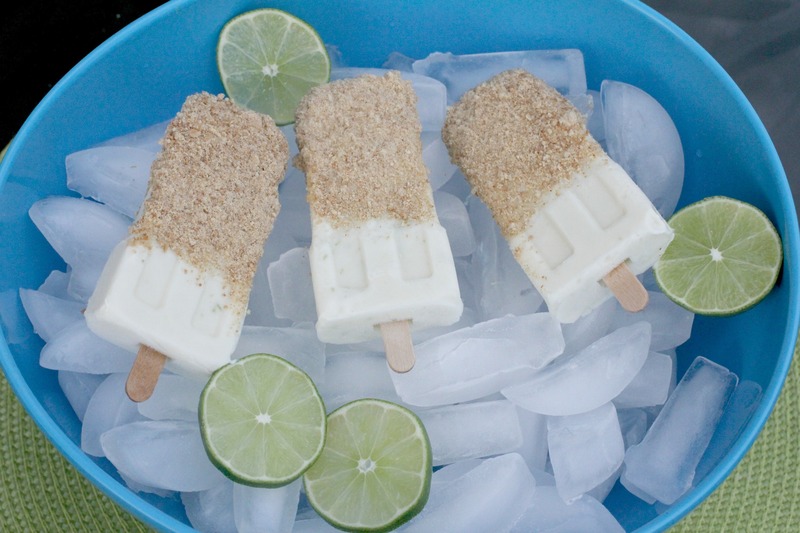 Key Lime Pie in popsicle form, Sweet!! I adore Key Lime Pie, so I know I would absolutely LOVE these!! Such cute molds, too! I think I’m gonna have to check out Amazon, too. If you like key lime pie, then you will love these! It tastes like a pie on a stick! I did learn however, NOT to put the popsicle sticks all the way in…there was barely enough room to grip below the popsicle! Thanks for the tip! I’ll definitely remember that when I make some soon.